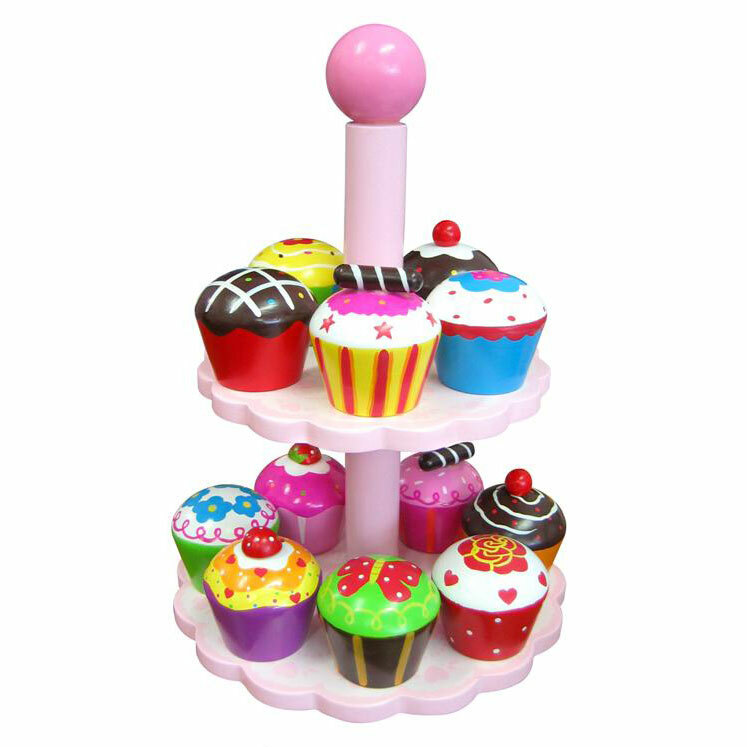 This colourful wooden cupcake set, was chosen from the catalogue as a 'must-have' by our 19mo! It features 12 individually decorated wooden cupcakes on a two tier stand - just like at a kid's party! Your child will enjoy making up stories, pretend baking, planning a playdate or birthday party or perhaps even playing shop with this wonderful wooden food set. Whatever the story, you'll almost certainly be offered a sweet treat along the way! An ideal addition to a child's kitchen set, or a wonderful toy on its own. Another affordable, wonderfully-designed educational preschool toy by Australian wooden toy maker, Fun Factory. * 12 Wooden Cupcakes with Stand ships as a large parcel and does not qualify for FREE SHIPPING offers.